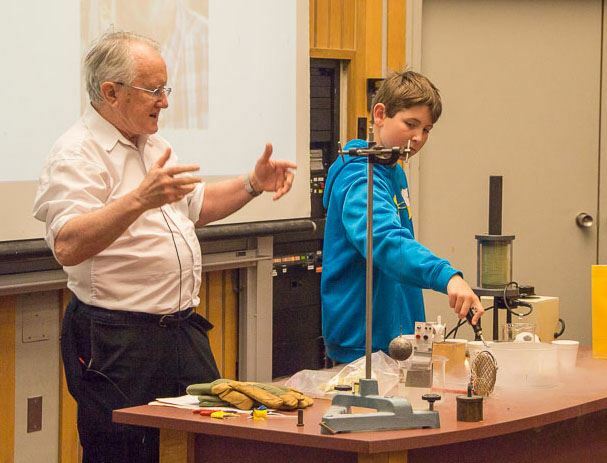 The Patrick Whippey Award will be awarded to a teacher at the high school, college, or undergraduate level who has made a significant impact in physics or astronomy education outside of the classroom. The idea of outreach is an effort to broaden the understanding of and appreciation for science, or participation in science, amongst people outside of one’s regular classroom. Outreach can include science activities that involve the public, school groups, community groups, and more. 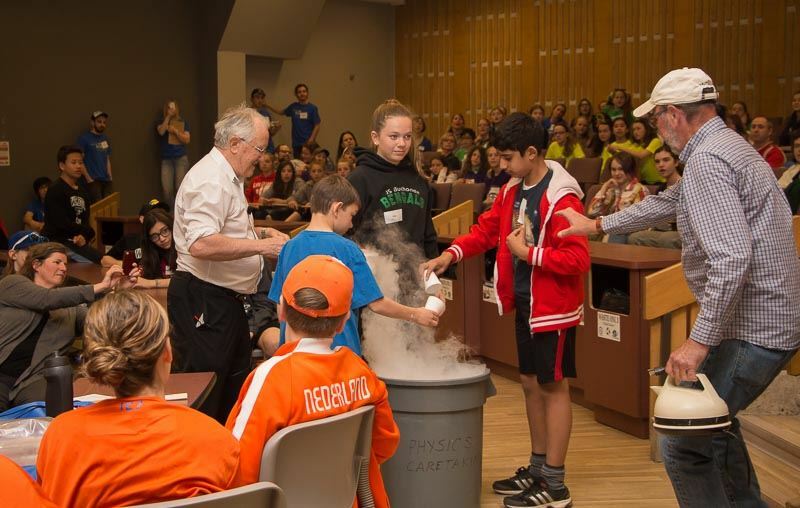 Examples of outreach include involvement in large, long-standing events like science fairs, science olympics, science rendezvous, and science contests. These events exist due to the leadership and volunteer efforts of teachers. Other examples of outreach are more local and personal. Teachers and their students might bring science activities to nearby elementary schools. Teachers might organize public events like star parties. Teachers might collaborate with those in other disciplines and have their students create a physics art show, a series of short plays about key moments in science, or a regular blog about science in the news. There are many possibilities. The nominations and selection process will begin each year in the early fall through a committee of the OAPT and faculty from Western University. If a winner is selected, the award will be presented at the annual OAPT conference in May. The recipient will receive $500 cash along with an individual plaque, and the recipient’s name will be added to a perpetual plaque showcased in the Physics and Astronomy Building at Western University. Interested candidates must complete this Google form by April 8, 2019. Applications will be kept in consideration for three years. Candidates may choose to update their applications each year.